The rough-skinned newt might look innocuous. But the newt's red underbelly means poison, and a frog is about to find out the hard way... by eating it. 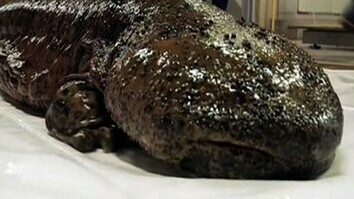 Hailing from the Pacific Northwest, the rough-skinned newt is one rough customer. Looking for tiny invertebrates, it has wandered out of its riverside territory and into the garter snake's. The newt seems unaware or unconcerned. Tiny glands in its skin are home to deadly bacteria. 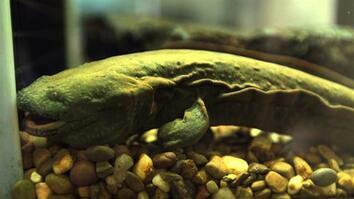 They produce tetrodotoxin, a lethal poison that paralyzes the muscles, stopping the diaphragm and heart. Garter snakes, though, have evolved a tetrodotoxin tolerance. 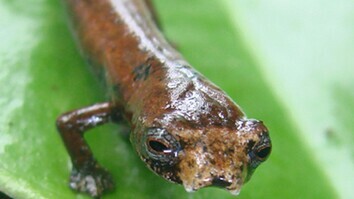 An arms race between snake and newt has led to higher and higher levels of both resistance and toxicity, to the point that the newt contains enough poison to kill a creature far larger than its normal predators-like a human. So the question becomes: which animal is further along in the race? The newt arches its back and displays its orange underbelly-a clear signal that it's not to be messed with. The garter snake decides it's not worth the risk. But the same cannot be said for all predators. The newt returns to its stream, only to encounter another threat, one closer on the family tree-a bullfrog. Bullfrogs are insatiable and indiscriminate. It swallows the newt whole. Inside the bullfrog's belly, it's a race between the stomach's acids and the newt's poison. The frog collapses and dies. The newt climbs out and is finally on the way home.